I love non veg foods like anything, except fish. Yeah..i told truth. I hate sea food. But once i relocated to Kochi, Queen of Arabian Sea, I couldn’t help but fall in love with prawns and pearl spot (Karimeen) over here. 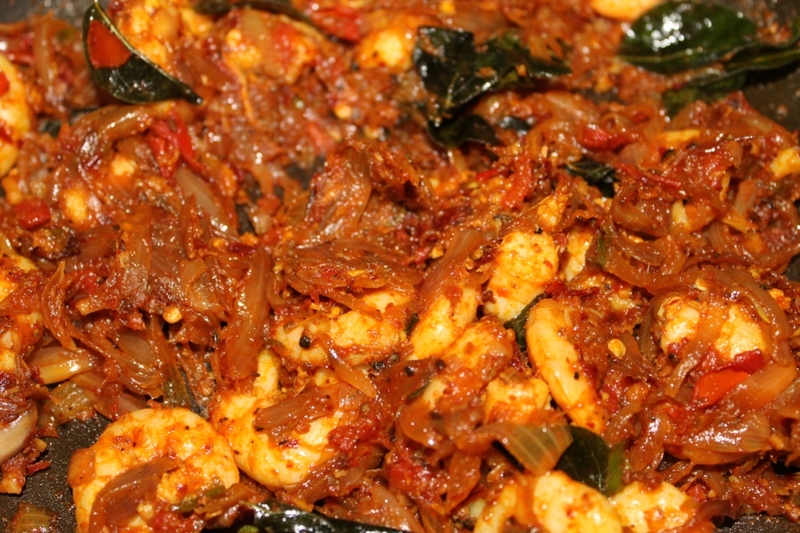 So i’ll share you my favorite way of making prawns.First i had it from a family friend’s house.I liked it so much that i asked them for recipe. 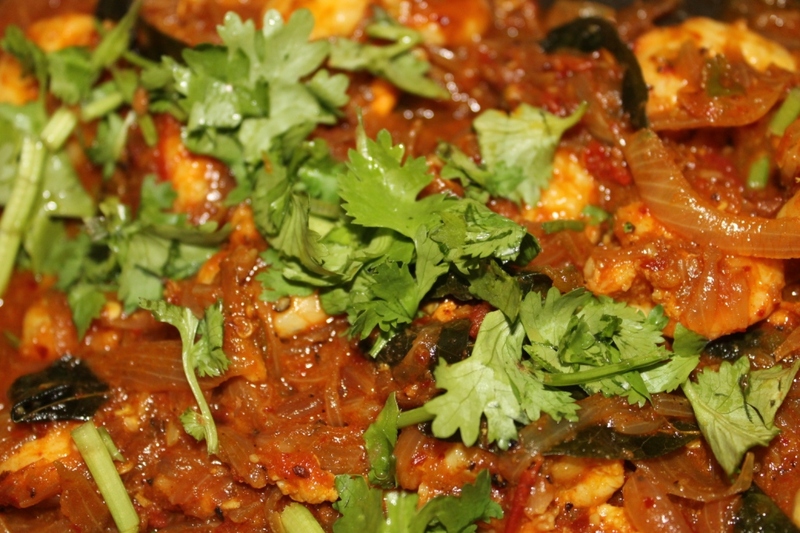 I have made prawn numerous occasions in this style.I’v tried other recipes also, but this one always came out good. 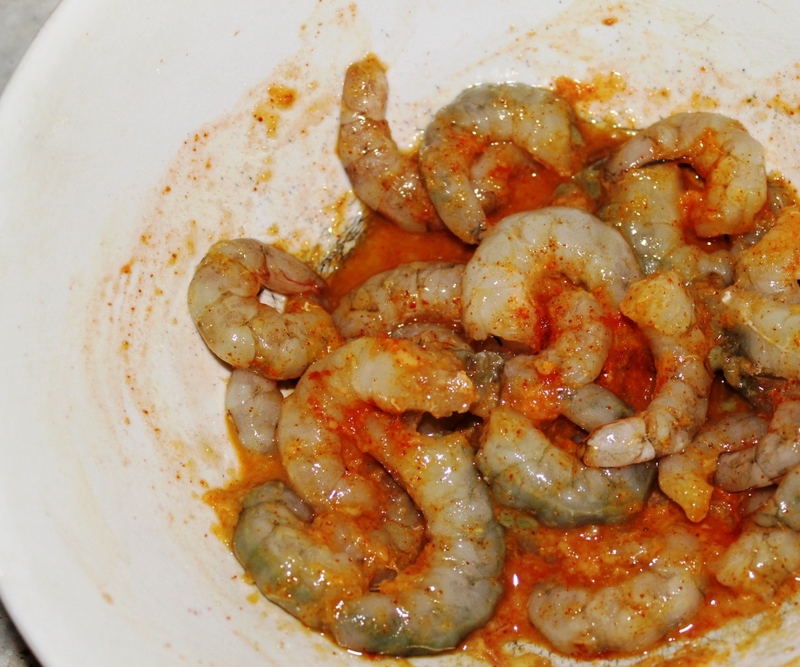 Always remember while buying prawns, on deshelling they will reduce to almost half the quantity. Add 1 tbsp. 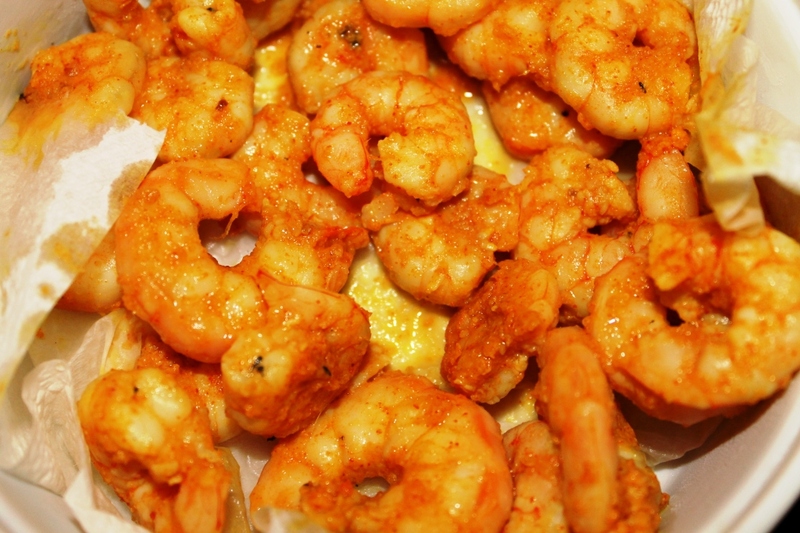 chilly powder,1/2 tsp turmeric powder and 1/2 tbsp ginger-garlic paste1/2 tbsp coriander powder and salt to cleaned prawns .Make sure it is coated well and keep inside fridge in an air tight box for 30 minutes. I know it is difficult to peel and slice pearl onions, but do add these , it enhances the taste. c) Tomato – chopped in to small pieces. 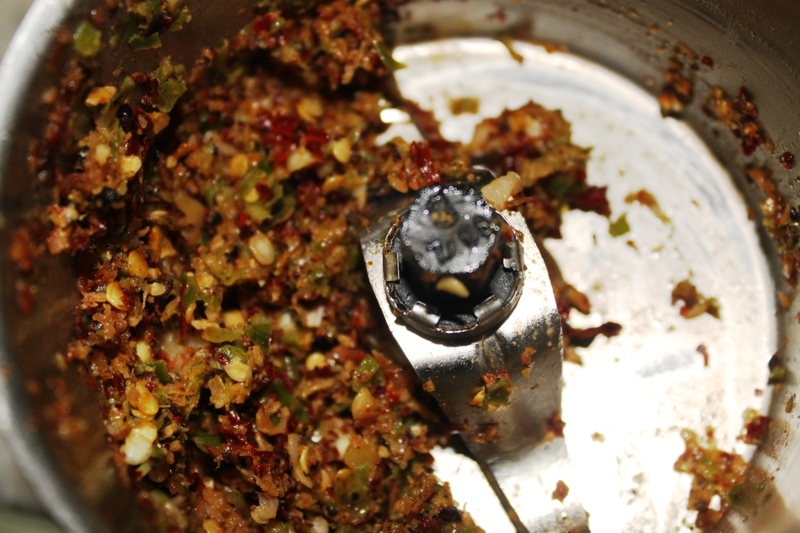 Now Step 3 : Grinding masala. Heat oil in a pan .Add all the above ingredients.Saute till coconut turns brown. Add very little water and grind it. Don’t make it a paste ,do in a way so that chilly grains will be there in gravy.While eating, those grains will impart a specific taste. First saute the marinated prawns in oil till half cooked. (Shallow fry)Keep it aside in a blotting paper. In same oil add cumin seeds and curry leaf. 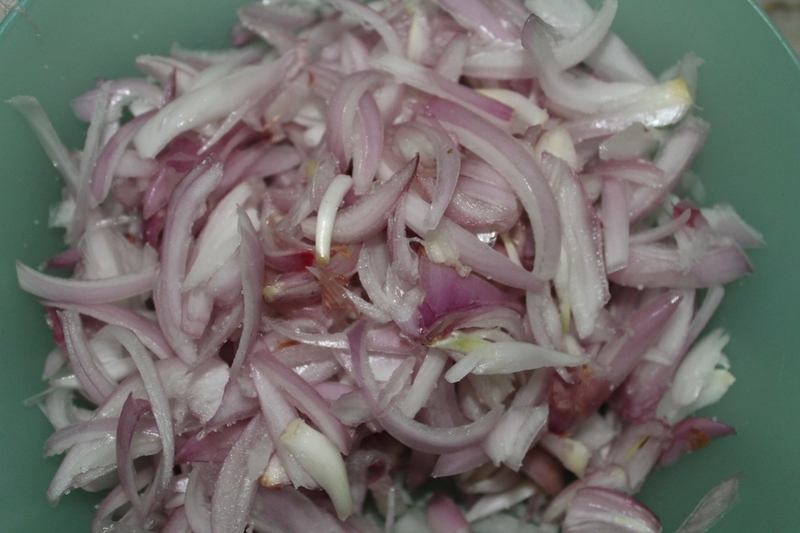 Now add onions we first itself sliced and kept.Once the color changes add turmeric powder and chilly powder. Now add tomatoes. Saute till tomatoes turns soft. Now add grinded masala to it and saute till raw small is gone. 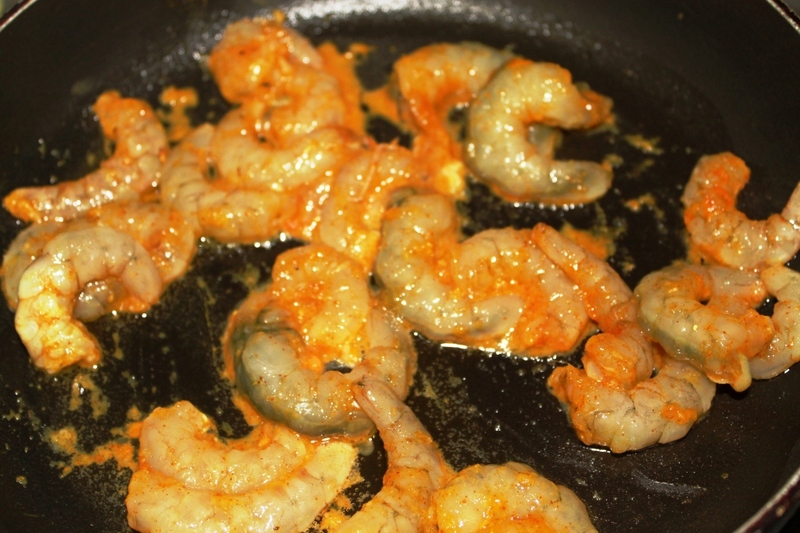 Add prawns and saute for 5 minutes. Add 1-1 1/2 cup water and boil in low flame.